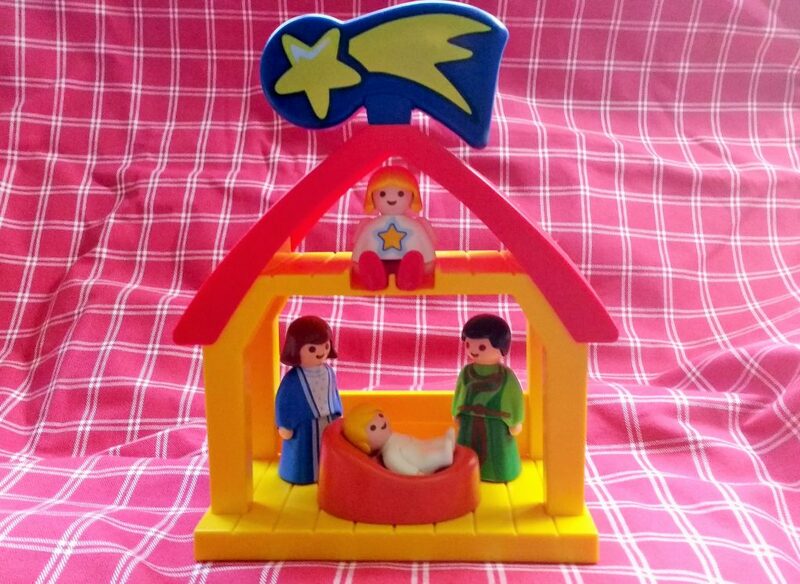 The nativity story has it all; tradition, magic, fantastical creatures, royalty, animals, and of course a baby! Every year, in thousands of schools and churches around the globe, the story will be recounted and acted out. It’s a story that many of us know inside out. Last week, I shared some Christmas songs that are easy for little ones to pick up, and this week I’m going to give you a simple account of the nativity story to share with your toddler (for primary school children, check out my Christingle Service story which is fully interactive again and my christingle songs for primary school kids). A long time ago, there was a lady called Mary. One day, while Mary was doing the washing up, she saw a bright light. She had to cover her eyes because it was so bright – let the children cover their eyes. The bright light was an angel. Angels are very beautiful creatures who live in Heaven and work for God. The angel gave Mary a message from God – he said she was going to have a baby. Soon Mary’s tummy started to get bigger as the baby in her tummy started to grow – can you point to your tummy? Just a few weeks before her baby was ready to be born, the king told all the people in the country that they had to travel to the place where their family was from. Mary had to travel a long way to a town called Bethlehem. She had to walk very slowly because she had a baby in her tummy – have a go at walking slowly. When Mary got to Bethlehem, all the hotels were full, so she had to sleep in a barn, where the animals sleep – what animals might live in a barn? Can you make their noises? That night, Mary’s baby was born. She called him ‘Jesus’. Mary didn’t have a cot to put baby Jesus in so she laid him in the animal’s food bowl! 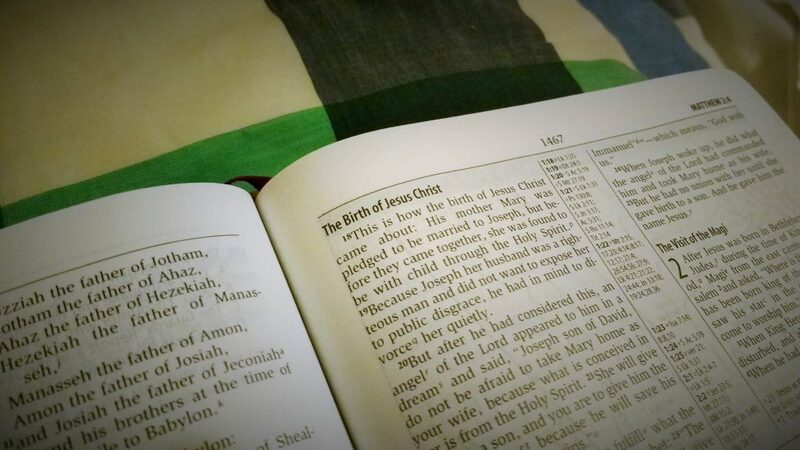 Jesus was a special baby – he was God’s baby – and God wanted everyone to know that Jesus had been born. Most of the people in Bethlehem were asleep – can you make a snoring sound? But there were some shepherds in the fields, looking after their sheep – what noise does a sheep make? God sent some angels to sing to the shepherds and tell them all about baby Jesus. The shepherds were so excited that they ran to the barn to see Jesus. God also put a giant star in the sky like a big birthday candle for baby Jesus. Some clever men were looking at the sky and they saw the special star. 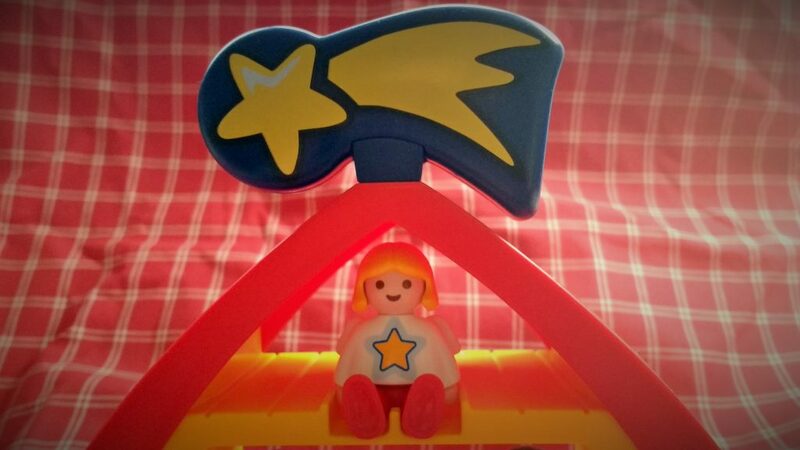 They followed the star all the way to baby Jesus. When they saw him, they bowed down to tell Jesus that they thought he was special – can the children bow? The traditional nativity story is getting squeezed out of Christmas, because the shops can make a lot more money off the back of Santa. 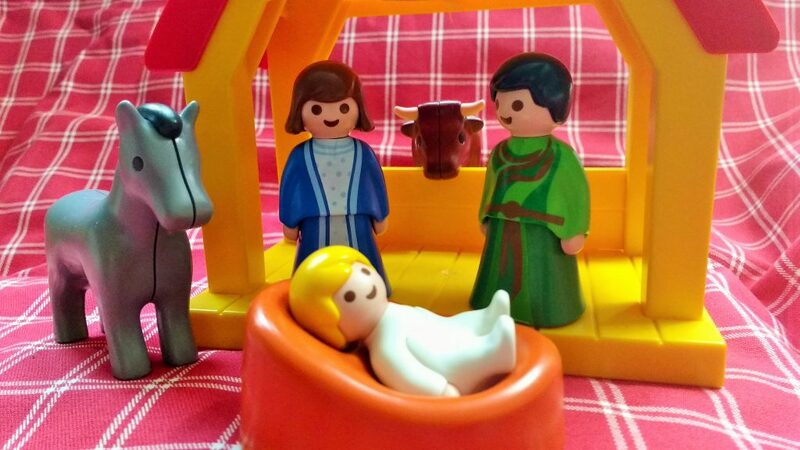 But real nativity story is just as magical and it’s part of our heritage. 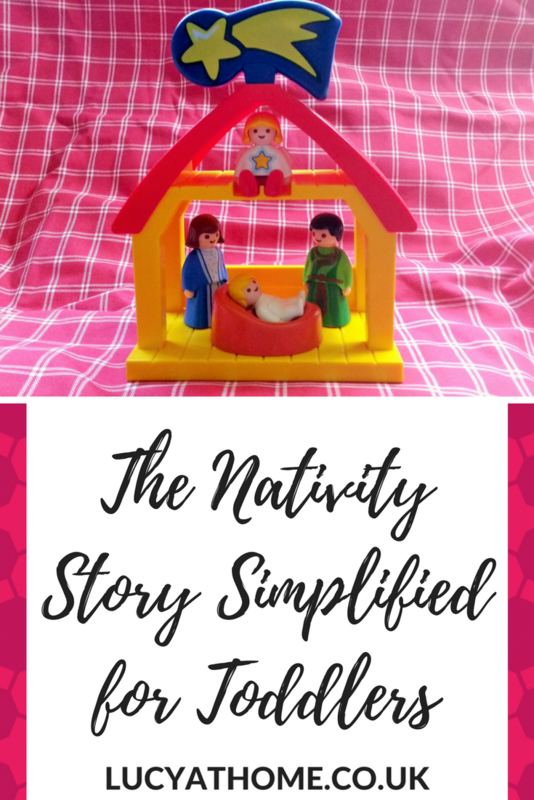 Children love the story, and I hope this simple version helps you to share the nativity story with your little one. This is brilliant. Animal noises and actions are the most exciting thing for little ones. I run a toddlers group and the most favourite Christmas book we read is one where we meet the cast of the nativity story and make noises with animals. I’ve a few friends looking for simple English Christmas stories so I’ll be sharing this! Oooh I hope your daughter enjoys the story. I think kids love it when their story time gets interactive! Ah I love nativity plays. My eldest (5) was in her first nativity play this year and I surprised myself because I was really emotional watching it! Ha! Brilliant – and you’re right it is a magical story and one we shouldn’t let get squeezed out in the commercialism that is now Christmas. Hope you had a lovely Christmas, thanks for sharing with #PoCoLo and thanks for linking up with us this year. 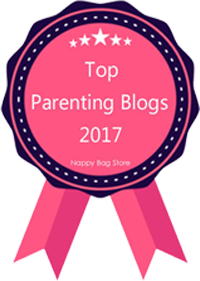 It’s been lovely to get to know more about you and your blog, and here’s to a fabulous-er 2017!